American Express Business Cards: Which Is Best for You? Many frequent travelers—especially small business owners—focus their loyalty on the American Express Membership Rewards program. That’s because of the myriad airlines that participate in its transfer program. You can transfer MR points to Delta, British Airways, Virgin America, Virgin Atlantic, AeroMexico, El-Al, Air Canada, Emirates, Air France, KLM, Hawaiian Airlines, Alitalia, Iberia, JetBlue, ANA, Cathay Pacific, and Singapore Airlines. That’s a pretty powerful transfer list! Just remember that when it comes to Membership Rewards, you have several small business cards that you can choose from. Let’s delve into which one might be the best for your business. Determining which American Express business card is best for you will depend on your earning and redeeming goals as well as how your business works. It makes sense to pick the card that offers benefits that most closely match your spending habits. That way, you’ll have a better chance of earning more points throughout the year and you may find that it makes financial sense to continue to carry the card for the long term. Also, be aware that sign-up bonuses change often. We’re listing the current offers as of press time but the bonus may be higher or lower when you apply. Some people are also often targeted for offers that are better than those available to the general pubic. Watch your email and snail mail carefully; that’s where you’ll find those targeted invitations. If you’ve just started dabbling with loyalty programs and you plan to travel a lot within the next year or two, the American Express Business Platinum card can be an excellent addition to your wallet because of strong benefits like a $200 credit at the airline of your choice for things like baggage fees and in-flight purchases and reimbursement of the $100 fee to apply for Global Entry (a program you can learn more about here that fast-tracks your return to the United States through Customs) or TSA PreCheck. 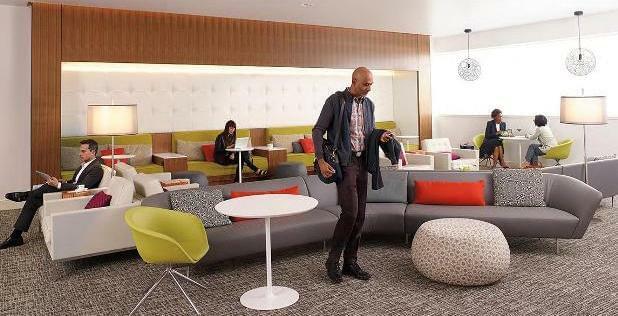 The card also comes with a robust list of more than 700 airline lounges that members can access, including American Express Centurion lounges, Priority Pass lounges, and Delta SkyClubs. Members also get 10 Gogo inflight Internet passes annually as well as unlimited Wi-Fi at Boingo hotspots. That’s a terrific value if you travel a lot. Finally, you also gain access to Amex’s Fine Hotels & Resorts program, receive Gold status in Starwood’s Preferred Guest program, and can get 30 percent of your points back when using the Pay with Points option. That’s a really solid list of card benefits. The earning ratio is one point per $1 spent on eligible purchases and two points per $1 spent through the American Express Travel website. The fee for this card is steep at $450, but it can make sense if you take advantage of the $200 airline credit, $100 reimbursement for Global Entry or TSA PreCheck, and you plan to use the airport lounge benefit extensively. The Business Gold Rewards card might be better than the Platinum card if you’re focused on earning through your spending. That’s because the earning ratio is higher: three points per dollar spent on one category of your choice (choose between airfare, advertising, gas, shipping, or computer hardware/software), two points per dollar on the remaining four categories, and one point per dollar spent on other purchases. The card also offers a host of benefits that can be useful to travelers, including baggage and travel accident insurance, a Global Assist Hotline that you have 24/7 access to when you travel more than 100 miles from home, premium roadside assistance, and car rental loss and damage insurance (secondary coverage). Amex waives the annual fee for this card during the first year of cardholdership and then you’ll be charged $175 per year thereafter. If your company makes a lot of equipment purchases, this card comes to the table with purchase protection as well as extended warranty coverage. This is the only card we’ll discuss in this post that doesn’t earn Membership Rewards points. Instead, the Starwood Preferred Guest Business card earns Starpoints, which can be used to redeem free nights at more than 1,200 hotels in nearly 100 countries around the world—with no blackout dates. SPG also has a fantastic transfer program that allows you to transfer SPG points to dozens of different airlines. In most cases, when you transfer 20,000 SPG points, you’ll receive 25,000 miles in the airline program of your choice. 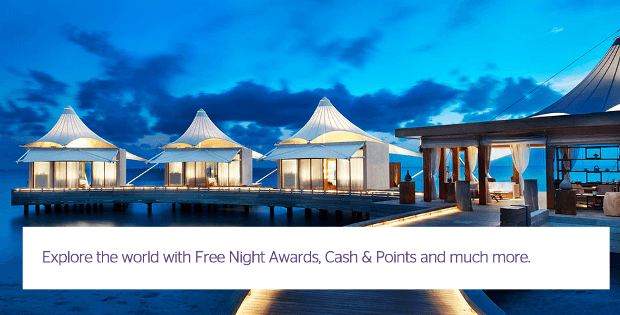 Spend $30,000 on this card per calendar year and you’ll receive Gold status in Starwood’s program and all cardholders receives credit for five nights and two stays towards SPG elite status each year. As for earning ratios, you’ll get up to five Starpoints per dollar spent on eligible purchases at SPG hotels and one Starpoint on all other purchases. Other perks include access to the Sheraton Club lounge, free in-room premium Internet and complimentary, unlimited Boingo Wi-Fi. The annual fee is waived during your first year of cardholdership and then you’ll pony up $95 per year thereafter. This is really the best card to carry if you’re looking to build up a stash of points to use on hotel stays or to transfer to one of dozens of airline frequent flyer programs.